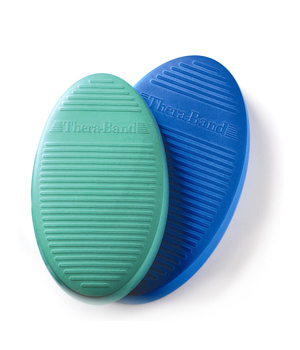 Thera-Band® has been a trusted and recognized name in fitness and fitness related products for many years. 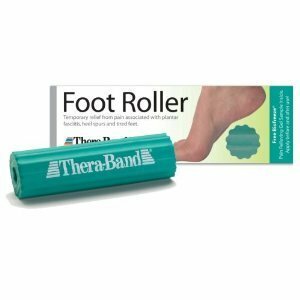 At YogaDirect, we strive to provide our clients with only the best yoga and pilates equipment possible, and that is why we are proud to carry an extensive line of Thera Band® brand products. 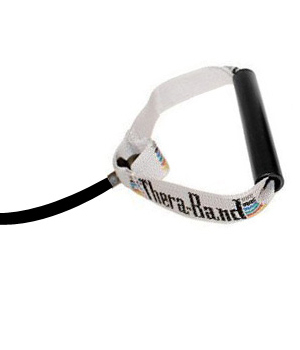 Why do we like Thera Bands? Because they fit anywhere! It can be difficult to find a place to get some exercise when traveling or even at home after sitting at the office all day. The beauty of these flex bands is that they can go with you. Have a few minutes during lunch? Do some leg extensions under your desk. Riding in a car all day? Why not do some shoulder external rotations? There are a few hundred ways to use them. 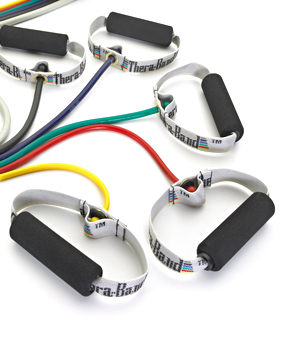 It's just a matter of finding the best selection of thera bands, so you can find the right strength for you. 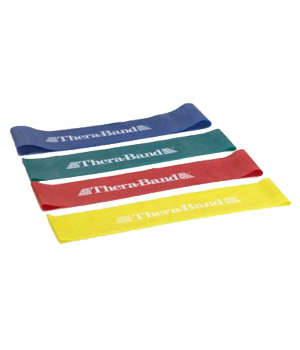 Shop for thera band strengths by color. The darker the color, more resistance that band has. If the color is metallic than it is at maximum resistance. Always inspect your bands or tubing for signs of wear, including small tears, abrasions, or cracks before use. Pay particular attention to the connection point. Always replace the bands or tubing with any sign of wear. With heavy use, such as in a physical therapy clinic, bands and tubing should be replaced every 1-2 months. 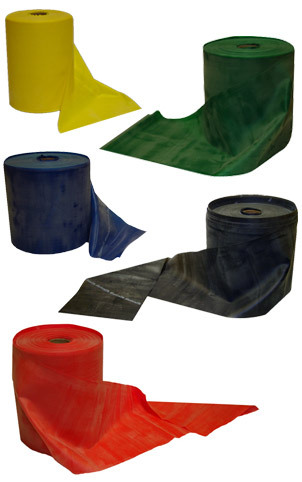 The bands and tubing will not last forever, and will experience normal wear and tear with extended use. However, they should be safe to use as long as there are no visible signs of wear. 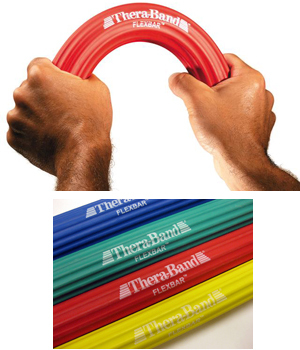 Few fitness products are as versatile as Thera-Band exercise equipment. 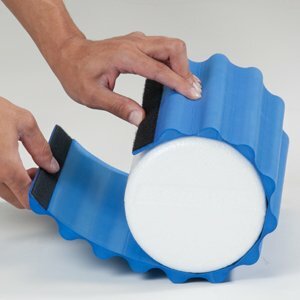 Professional athletes, physical therapists, sports/personal trainers and chiropractors consider the items as must-haves for an efficient workout or rehabilitation session. 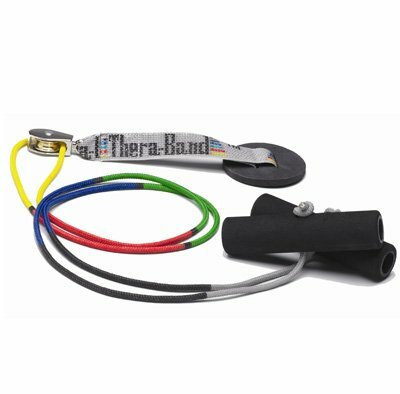 Thera-Band has been around for more than three decades, since 1978. 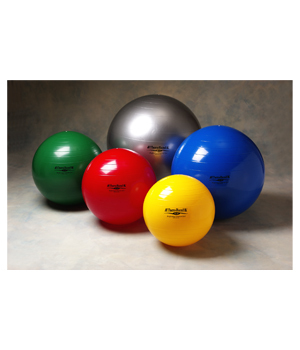 Its vast line of products includes resistance bands, tubing, balls, mats, hand exercisers and stability trainers. They have many uses, among them rehabilitating injured muscles and joints, strength training and improving flexibility and balance. 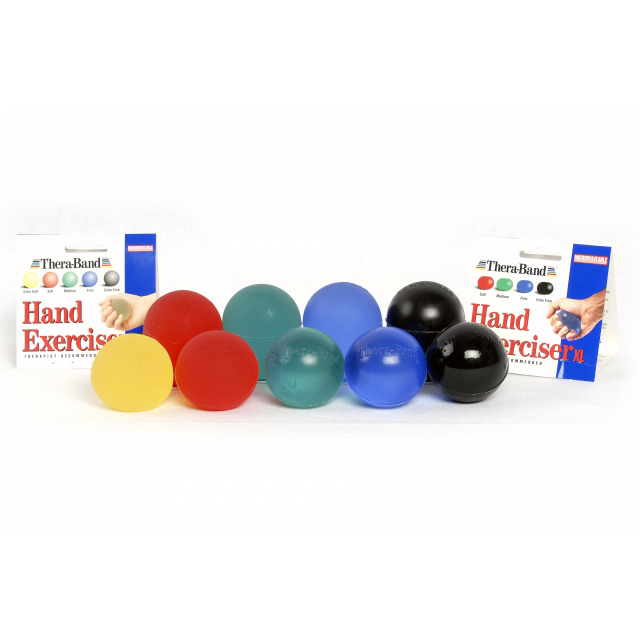 The great thing about Thera-Band exercise equipment is the products are relatively lightweight and simple to store. You don’t need to worry about moving heavy dumbbells around or the damage they can cause to your home, studio, gym or rehab center. 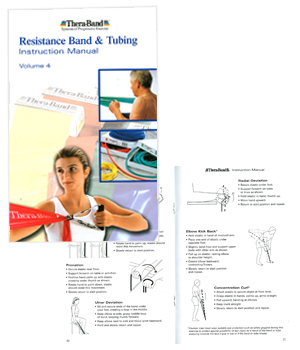 If you’re new to Thera-Band, you might consider starting with the resistance bands, which can be ordered in latex or a latex-free material. 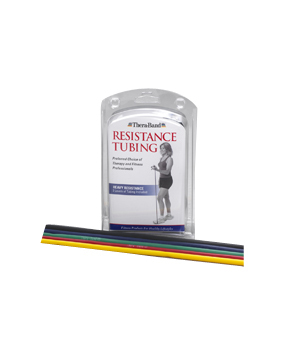 Endorsed by the American Physical Therapy Association, these elastic bands are color coded to indicate one of eight levels of resistance. 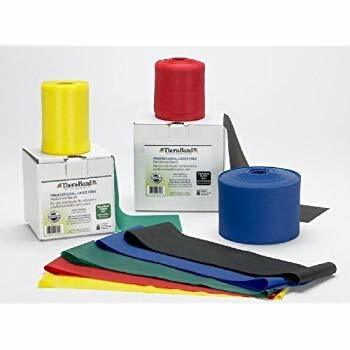 Because they are so affordably priced, we suggest ordering a range of colors to suit your different needs or the various ability levels of your students/patients. 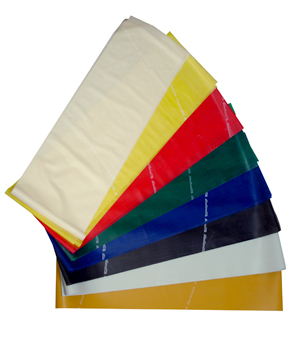 Professionals may prefer to purchase the bands in bulk, available by roll or box. 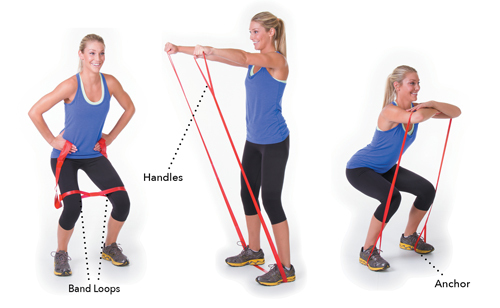 The resistance bands are very light and fold up nicely, making them a great piece of equipment to travel with – just whip them out while you’re unwinding in your hotel room so you can exercise away from home. Another travel-friendly piece of equipment is the tubing, which is offered in seven resistance levels and functions like the elastic bands. These come in the same length as the elastic bands (five feet), but you may find them easier to grip. 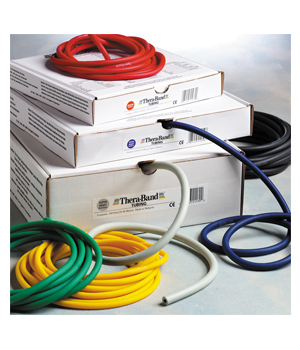 You can choose from basic ropelike tubing that you wrap around your hands or tubing with PVC or soft handles that you can hold onto. The tubing can be purchased in bulk as well. 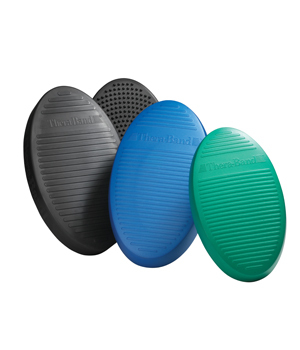 Another unique Thera-Band product is the stability trainer, an oval-shaped foam disc that’s available in three levels of firmness. 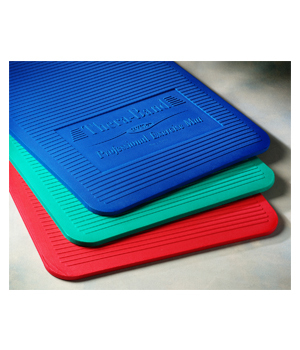 It features an anti-slip, ribbed surface, and aids in balance and proprioception skills.